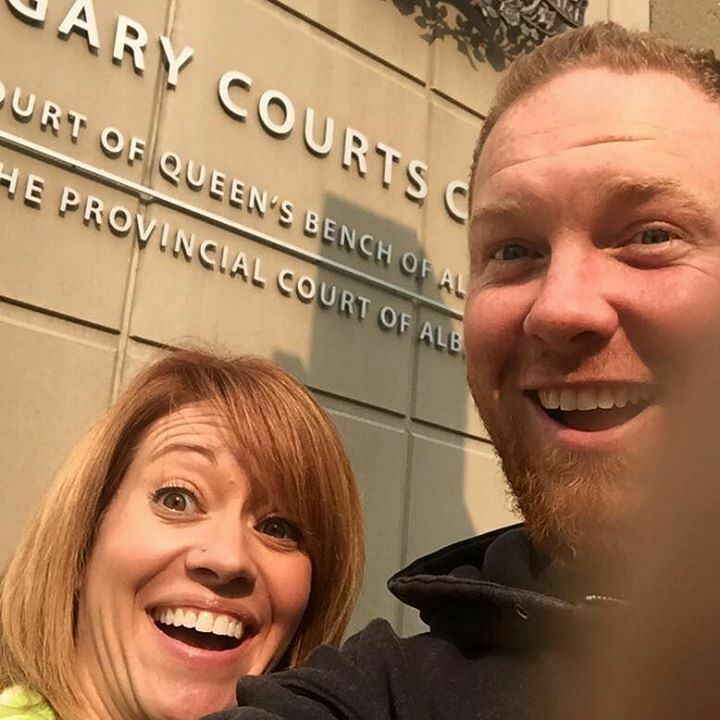 Divorce selfies seem to have become a thing, the latest example is a Canadian couple who posted a smiling pic of themselves to Facebook, just after getting divorced. Shannon and Chris Neuman posted the photo as a kind of joke/celebration that they're split was amicable and they were still going to be friends. It's no surprise that the post has divided opinion with some people congratulating them on placing the children first and being positive about moving forward, while others think divorce is nothing to smile about. The pic (below) currently has over 30,000 shares and was put up with the hashtag #divorceselfie. Explaining why they posted it they said. We're smiling because we have done something extraordinary (we think anyway!) We have respectfully, thoughtfully and honourably ended our marriage in a way that will allow us to go forward as parenting partners for our children, the perfect reason that this always WAS meant to be, so they will never have to choose. They'll never have to wonder which side of the auditorium to run to after their Christmas concert or spring play, because we'll be sitting together. They won't have to struggle with their own wedding planning because we'll be sitting on the same side of the aisle - THEIR side. But forget about the children, it looks like the couple have been irresponsible in not thinking of how the internet would react. Because other people are posting divorce selfies too. In fact, some people have been posting them from weeks, even months, ago, so it seems this has been a thing for a while.